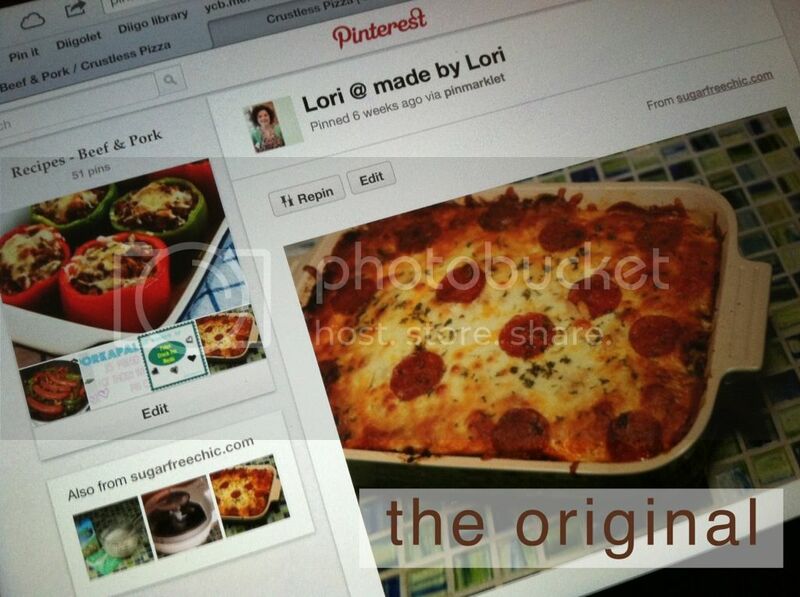 made by lori: saw it. pinned it. did it. Found this recipe on a blog I follow called Sugar Free Chic. I knew I needed to try it, so i pinned it. This is actually my second time making it since the first time it turned out so good. It also reheats well for leftovers. 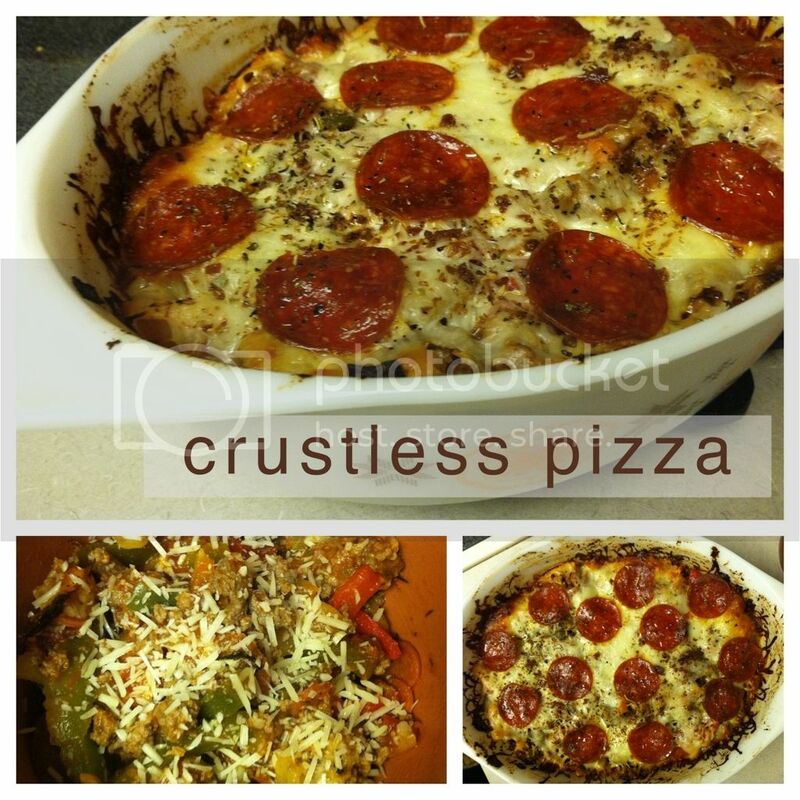 Feel free to make more or less (I made more than the original recipe) and add your favorite pizza toppings into the mix. I'm not a mushroom fan so i adapted my own version of this. Here's my take on the recipe. In a casserole dish put the frozen peppers and onions. Top with ground beef, sausage, most of the mini pepperoni, most of the crumbled bacon, and the jar of sauce. Leave some of the pepperoni and and bacon bits to up on top of cheese. Mix the until everything is well mixed. Top with cheese, then remaining pepperoni and bacon. Linking up for the first time with Stephanie and Katie today for Saw it. Pinned it. Did it. 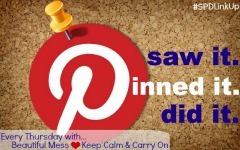 What have you saw, pinned, and did this week?